I got back from Blue Ridge Mountains Christian Writers Conference excited and invigorated to get started on my next novel. The general idea for the story had been culminating in my brain for months, and I was ready to begin last weekend. But I had one very important step to do first: Research. It all began with the general feel I wanted to portray. And I wanted to be able to travel to the town, so it had to be pretty close to home. When I went on the Internet, I knew right away where the location should be set. 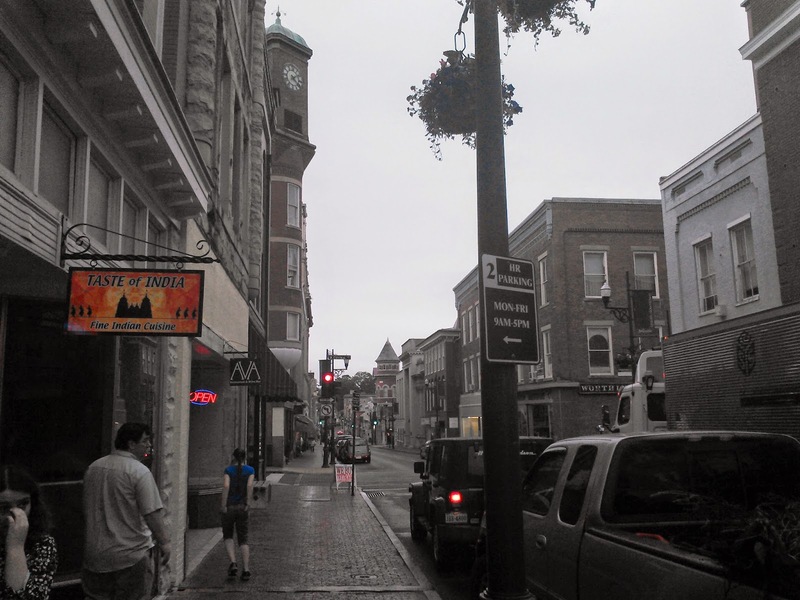 It was evident that Staunton, Virginia had everything I needed to create the world in my novel. Our first stop was the Woodrow Wilson Museum and birthplace. I wanted to get the feel for museum life in a busy town. 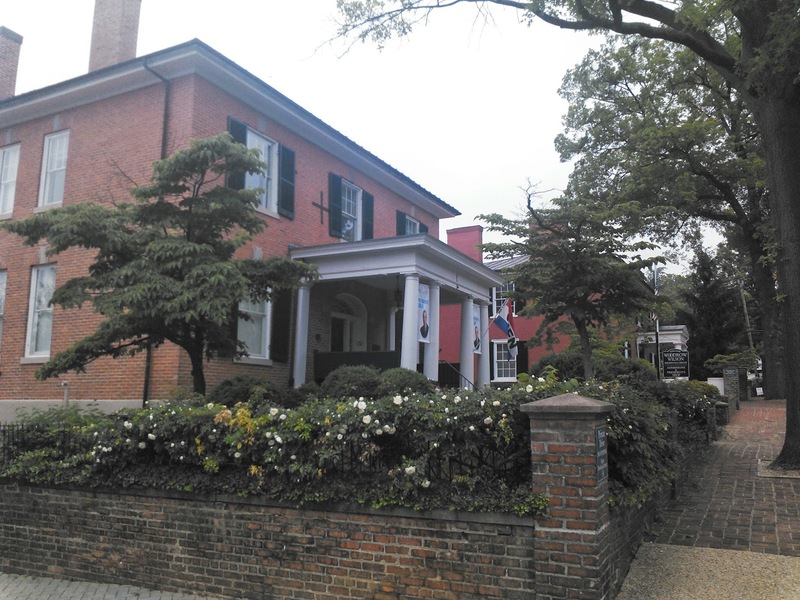 This museum covered a span of time from the 1850’s to the 1920’s, all of Presidents Wilson’s life. Our 28th president led a very interesting life. I was privileged to talk to the curator after our tour, and he was very resourceful. Note to you writers, talk to all the professional people you can when researching. They love to share. 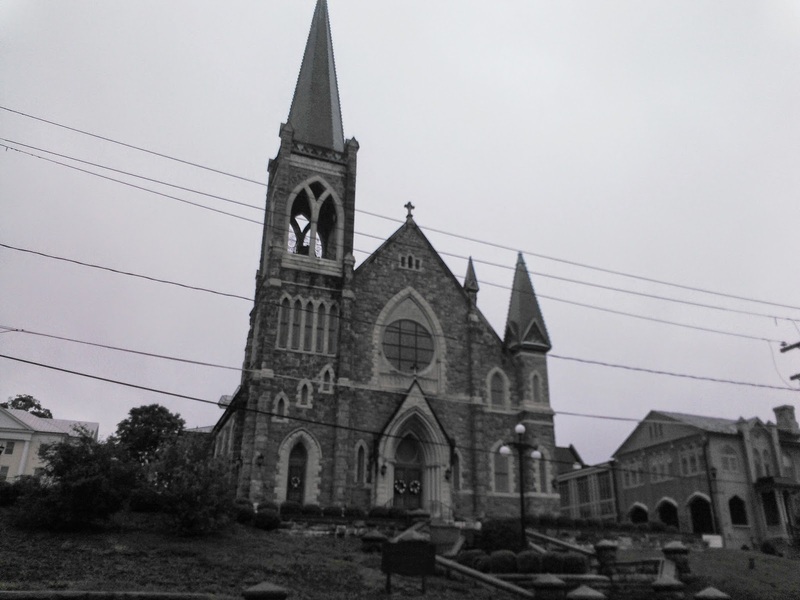 Staunton has a lot of old world charm with its beautiful churches scattered virtually on every corner of the older part of town. The houses loomed on hills and plazas because of the surrounding mountains. And, they echoed of bygone times where architects cared about the uniqueness of each house. Downtown, we visited West Beverly Street with all its art and antiques and fantastic architectural ingenuity. The Wharf, around the train depot, beckoned us to its air of chicness. And of course I had to explore Thornrose Cemetery. Who knew such beautiful yet eerie bridges and mausoleums could grace such a cold and dark rainy day as today. I can just imagine something sinister happening under the craggy trees and marble head stones of this location in my current WIP. 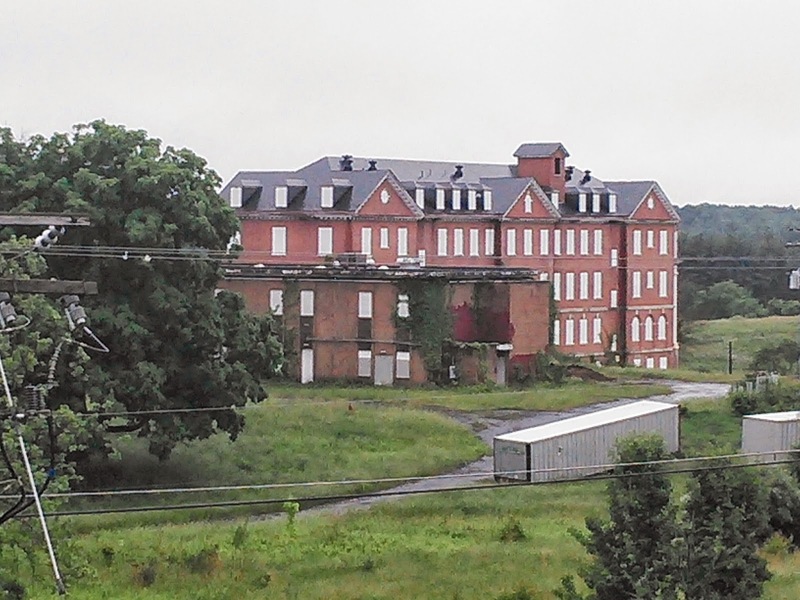 We concluded the day with the looming Western State Hospital, a lunatic asylum. It is now closed, but a great location to set a thriller in motion. We couldn’t get too close because it’s restricted, but it was so fun to try to get pictures of the foreboding boarded up building. We had a blast on this research trip. I can’t wait to go back. This trip created a three dimensional setting in my mind that will help my story seem more real to my readers when it translates onto paper. I’m so glad I could take this trip to enhance my work. If at all possible, take little trips and find cool locations to help you visualize your book’s location. You’ll be glad you did. Where have you been for your research? I happen to be starting a story of Romance and Suspense that begins in a cemetery. Good research, Erin! 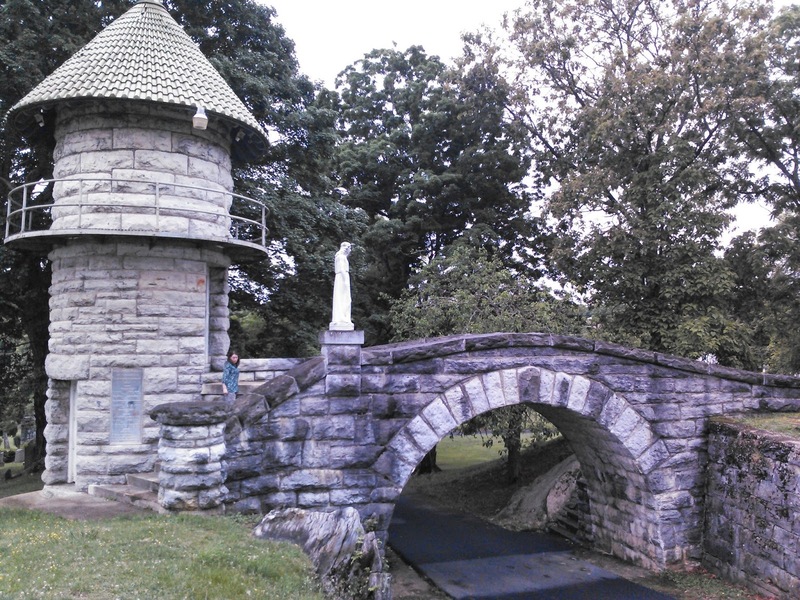 I had no idea all that history was in Staunton! Nice job! It's a very beautiful town. I'd have never guessed that before my research. They are so fun and creepy at the same time. It makes me very contemplative when I visit one. One stone was of two brothers, 9 and 11 years old, who died the same day. Makes you hurt for their mother. And it makes you re-evaluate life.